The tablets provide a simple way to sanitise the bath and hidden pipework after each use. Plus they are good value. 2nd tub of these we've had and they certainly do the job, and prompt delivery. Good value. 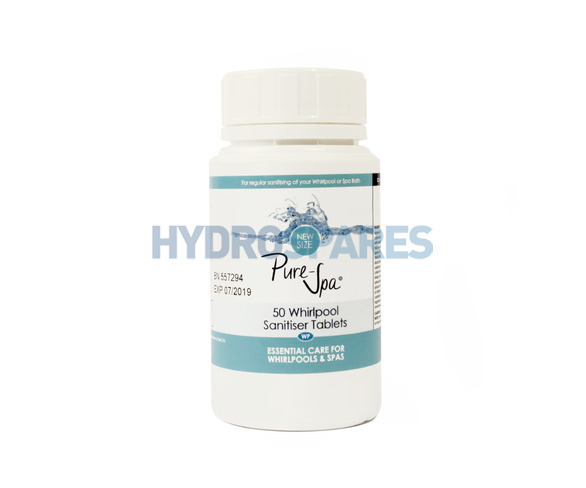 Very easy to keep my Whirlpool bath clean after every use. Peace of mind knowing my bath has been sanitised. These tablets are an easy way to make sure that my bath is kept hygienically clean. After use you are left with a pleasant fresh smell.